Crude oil prices pare the decline from earlier this week as Kazakhstan’s Minister of Energy, Kanat Bozumbayev, anticipates the Organization of the Petroleum Exporting Countries (OPEC) and its allies to ‘stabilize the situation with energetic measures in January-February-March,’ and the failed attempt to test the June 2017-low ($42.05) may generate a larger rebound ahead of 2019 as the Relative Strength Index (RSI) bounces back from oversold territory. The weakness following OPEC’s 175th meeting finally appears to be abating as a growing number of producers show a greater willingness to curb supply, and the group may continue to talk up crude prices as Russia Minister of Energy, Alexander Novak¸ endorses a price range of $55-65bbl. At the same time, the growth in non-OPEC supply appears to have stalled as updates from the U.S. Energy Information Administration (EIA) show production holding steady at 10,600K in the week ending December 14, and signs of slowing output may foster a near-term correction in crude especially as the International Energy Agency (IEA) warns that the economic slowdown in Venezuela paired with the sanctions on Iran may lead to unintended consequences that would exacerbate the drop in global output. With that said, ongoing efforts to rebalance the energy market may cushion oil prices even though OPEC’s Monthly Oil Market Report (MOMR) warns of easing consumption in 2019, and the recent rebound in crude appear to be spurring a near-term shift in retail sentiment as net-long interest gets washed out. 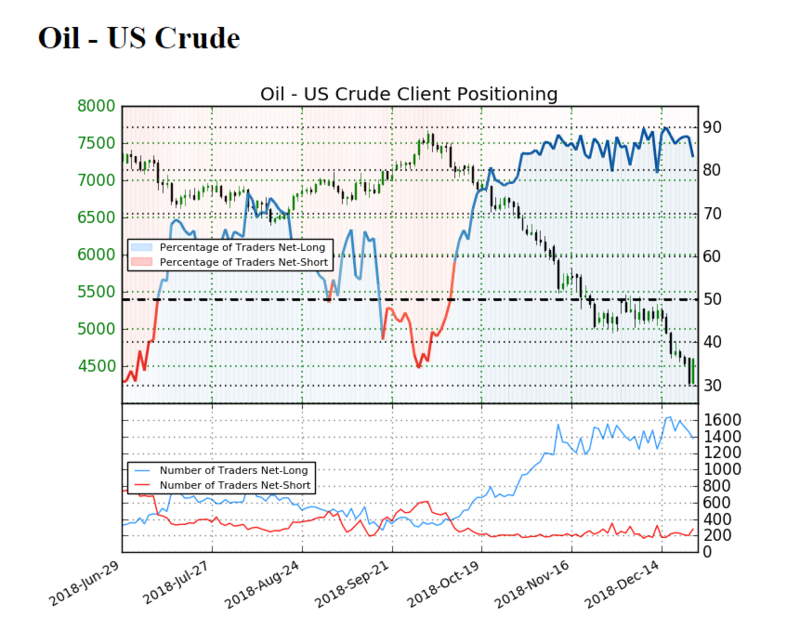 The IG Client Sentiment Report still shows83.1% of traders are still net-long crude compared to 85.9% last week, with the ratio of traders long to short at 4.91 to 1. Keep in mind, traders have been net-long since October 11 when oil traded near the $71.00 mark even though price has moved 37.4% lower since then. The number of traders net-long is 8.4% lower than yesterday and 18.2% lower from last week, while the number of traders net-short is 46.6% higher than yesterday and 10.7% higher from last week. The prevailing tilt in retail position provides a contrarian view to crowd sentiment as traders go against the broader trend, but a further pullback in the IG Client Sentiment index may largely coincide with a larger rebound in crude oil prices as there appears to be an adjustment in trader behavior. In turn, the broader outlook for crude remains bearish as it snaps the upward trend from earlier this year, but recent price action raises the risk for a larger rebound as it snaps the series of lower highs & lows from the previous week, while the Relative Strength Index (RSI) bounces back from oversold territory. 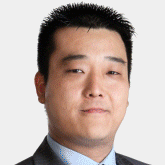 Sign up and join DailyFX Currency Analyst David Song LIVE for an opportunity to discuss potential trade setups. Broader outlook for crude remains bearish as it snaps the upward trend from earlier this year, but the failed attempts to test the June 2017-low ($42.05) may foster a larger rebound, with a close above the $44.10 (38.2% expansion) to $45.40 (38.2% retracement) region raising the risk for a move back towards $48.10 (23.6% expansion) to $49.00 (38.2% expansion) range. 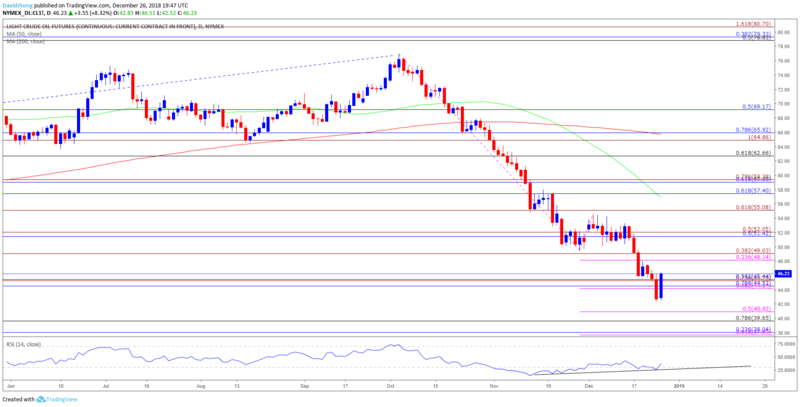 Will keep a close eye on the Relative Strength Index (RSI) as it extends the bullish formation carried over from the previous month, with the next area of interest coming in around $51.40 (50% retracement) to $52.10 (50% expansion) followed by the $55.10 (61.8% expansion) region.